In the past, wind turbine development has experienced fast progress, with the main focus on increasing the efficiency of the rotor performance and maximization of annual energy production. This was the fundamental task of engineering offices during the design phase of a turbine. Today, there is high competition on a worldwide market, especially in China and Asia. Now, the focus has shifted to the costs of the wind turbine and its subcomponents, as well as the costs during operation. 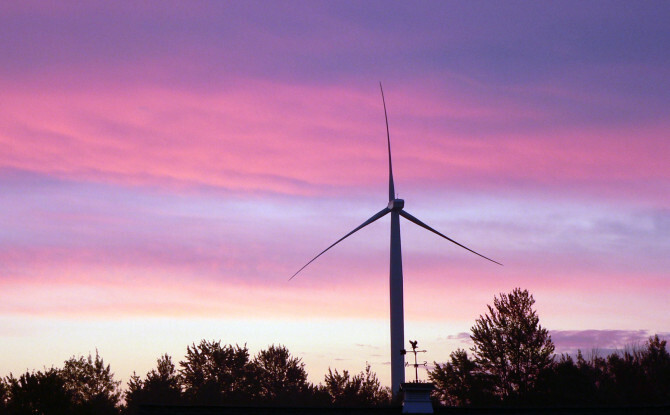 There is a growing demand for large size turbines, so that investors can reduce the costs for the funding and operating of a wind turbine project. The key values are price/kW installed and per price/MWh produced. Large turbines and bigger rotor blades present a challenge to designers as on the one hand, they have to deliver a quality product with high reliability and on the other is of economic value to the manufacturer and operator. Classic approaches involve scaling up major components, which leads to less cost effective products and processes, as very large turbines have their own rules and specific challenges. approach in designing components. In particular, rotor blades are predesignated for this kind of application. The new processes are not limited to rotor blades, but can easily be adapted to any other structure of the wind turbine, or even the whole turbine itself. In general terms it could also be adapted to any structure. The main goal for wind energy is efficiency and best economic costs, which can be achieved with a reliable design and a maximized annual energy yield (AEP). These techniques are very similar to approaches used in aerospace, where a safe design and mission performance is usually the most important design goal. In wind energy it is robustness and economical value. When optimizing a component, the economic considerations and manufacturing constraints for some engineering tasks can be implemented and used as input parameters.For example, sizing and layout for the rotor can use the turbine as the parameters. For the economic considerations a cost model can be included and used as a benchmark and target objective to reduce costs during manufacturing and supply. Finally, manufacturing constraints can also be defined in order to adapt the product to your specific manufacturing environment. For companies in the market who want to be longterm players, they need to think immediately about reducing their costs for future products. The manufacturer and the operator will benefit from such approach. Wind energy is proving very successful in many countries, so the cost must be reduced further. • Against the objective of the optimization targets weight, performance and costs. Beside these mechanical constraints, the manufacturing constraints have to be regarded as well. A2WIND has created an automated process to assist the design using Altair OptiStruct for the definition of the size and thickness of the different plies in the flanges and the thickness of the sandwich at the skins and webs. For all considerations mentioned before, a hybrid material mix could be treated as well. This process starts from the aerodynamic design of the blade with an automated creation of a finite element model for the detailed analysis of the rotor blade. Loads can be extracted from the loads module (FOCUS6) to be directly used for the finite element analysis. Manufacturing constraints are implemented in the finite element and optimization model for the desired layup manufacturing method used mainly by the blade manufacturers. • Restart the whole process again until thetarget objectives are achieved. The expertise of A2WIND ensures they are able to support the field of aerodynamics. It covers the full spectrum needed to design a rotor for wind turbines, from basic layout of blade and its rotor characteristics through special topics like performance prediction, aerodynamic optimal design, airfoil and shape optimization during development phase. A2WIND developed their own in house aerodynamic code for the complete Wind Blade Aerodynamic Design and Performance Prediction (WARP). WARP originally created as Excel calculation sheet, and with incorporated VBA macro, is going to be converted into a standalone executable program developed with Python and a user friendly and graphical input /output interface. • Export functionality for all created simulation data, Blade geometry export functionality (FOCUS and CATIA V5). WARP, originally created for performance analysis of Horizontal Axis Wind Turbine, now includes the design and simulation of Vertical Axis Wind Turbines (VAWT), by means of Double-Multiple Stream Tube Model developed by Ion Paraschivoiu. Tailoring Your Design A2WIND can help you in creating your own blade tailored for your turbine. It will guide you through the whole process of certification and testing, and can also assist you with setting up your manufacturing processes with modern techniques like VAP (vacuum assisted process) for resin infusion. A2WIND has certified with DEWI-OCC for international customers according to the latest standard GL-2010. All tasks and steps will be performed under ISO 9000 procedures to ensure high quality products for you. Once a wind turbine is in service it is useful to monitor specific functions and parameters to get a complete picture of the status of the important components and be able to make a risk analysis. A completely new approach, developed by A2WIND, is to predict future behavior. This approach is called Model-based Prognostics and Health Management (MPHM) in Wind Energy. strategy is on-condition based maintenance. This is the starting point to optimize maintenance costs. On-condition monitoring systems collect and analyze data for vibration and other system parameters, to detect component failures and anomalies in performance. Because the condition of components and systems is monitored and not just conservatively estimated, the time intervals between maintenance may be extended based on the real field data. The next generation of prognostic maintenance tools from A2WIND provides a richer set of features than current on-condition monitoring systems. One of the key building blocks of the A2WIND toolset is the underlying software model of turbine system architecture. Even though existing condition based systems can use sensors to detect damage and sometimes provide a failure prognosis before ultimate failure of a component, it is not an ideal solution. Significant component damage may have accumulated already by the time the damage is detectable by on-condition sensors, and the A2WIND toolset enables the quantification of this damage. On-condition data is used as input in real time to link energy and structural interactions between subsystems to deliver prognoses both for remaining useful life and for advanced discovery of system failures. The second major feature of the A2WIND tool is that it provides a real-time basis for energy output optimization. Energy losses due to suboptimal performance are quantified in real time, providing an advanced basis for maintenance task decisions. For example, if the energy lost due to a system malfunction (and therefore suboptimal performance) is small but also carries a prognosis of a complete system failure, the operator may decide to continue running the turbine at reduced load until the next scheduled maintenance period is reached. If the prognosis indicates that a complete system failure is imminent, the operator is able to shut down the turbine to minimize damage and concurrently arrange a specific maintenance task to solve the problem.